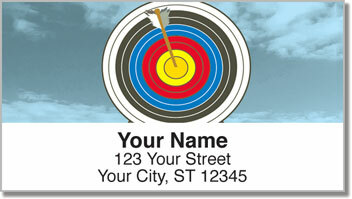 Hit your mark on every piece of mail with return address labels that pay tribute to the sport of archery! When you pick up a bow and arrow, you are holding a connection to the history of mankind. It's amazing to think that archery has been around since the Paleolithic period, when humans were still living in caves. 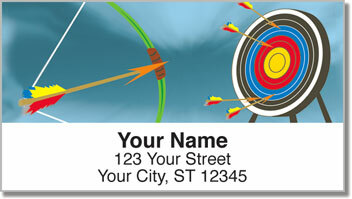 Archery Address Labels from CheckAdvantage depict a more contemporary version of this practice. They're a great choice for modern archers like you who've found the shooting your bow allows you to clear your mind as you focus on the target and become the arrow. 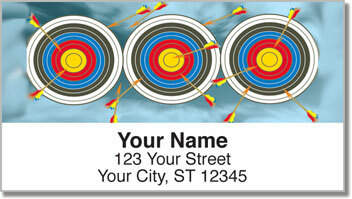 Use these labels to make the process of preparing outgoing mail extra easy. 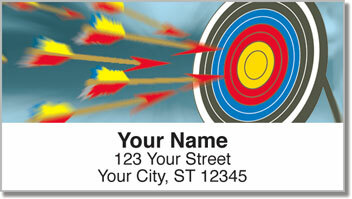 Say so long to scribbling out your name and address on every envelope. Just stick these self-adhesive labels on every envelope!